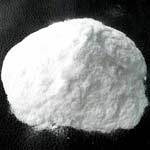 The company is known as the major Importer and Supplier of Sodium Bicarbonate Powder in India. Our Sodium Bicarbonate Powder, also known as Baking Soda is high in demand in the nationwide Chemical Industry. The Sodium Bicarbonate Powder can be availed from us at the market leading prices.